Metachromatic leukodystrophy (MLD) is an inherited disorder characterized by the accumulation of fats called sulfatides in cells. This accumulation especially affects cells in the nervous system that produce myelin, the substance that insulates and protects nerves. Nerve cells covered by myelin make up a tissue called white matter. Sulfatide accumulation in myelin-producing cells causes progressive destruction of white matter (leukodystrophy) throughout the nervous system, including in the brain and spinal cord (the central nervous system) and the nerves connecting the brain and spinal cord to muscles and sensory cells that detect sensations such as touch, pain, heat, and sound (the peripheral nervous system). This white matter damage causes progressive deterioration of intellectual functions and motor skills, such as the ability to walk. Affected individuals also develop loss of sensation in the extremities (peripheral neuropathy), incontinence, seizures, paralysis, an inability to speak, blindness, and hearing loss. There is no known cure. However, a study published in the Journal Science suggest that scientists have cured it by pioneering gene therapy to correct errors in their DNA. Three of the patients in the study are attending school.Gene therapy researchers said it was a “really exciting” development. Understatement of the year award contention. Babies born with metachromatic leukodystrophy appear healthy, but their development starts to reverse between the ages of one and two as part of their brain is destroyed. The technique, developed by a team of researchers at the San Raffaele Scientific Institute in Milan, Italy, used a genetically modified virus to correct the damaging mutations in a patient’s genes. Bone marrow stem cells are taken from the patient then the virus is used to ‘infect’ the cells with tiny snippets of DNA which contain the correct instructions. These are then put back into the patient. Three children were picked for treatment from families with a history of metachromatic leukodystrophy, but before their brain function started to decline. Gene therapy is a field that has promised far more than it has delivered and has been hampered by serious concerns about safety. The Lewis Law Firm handles cases of medical malpractice in Philadelphia and New Jersey, particularly those affecting children. Are you or a loved one the victim of medical malpractice? 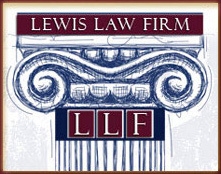 Contact the Lewis Law Firm for a Free Consultation today. 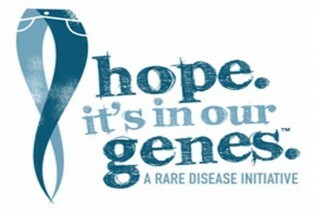 The logo is from the global genes project to fun research.